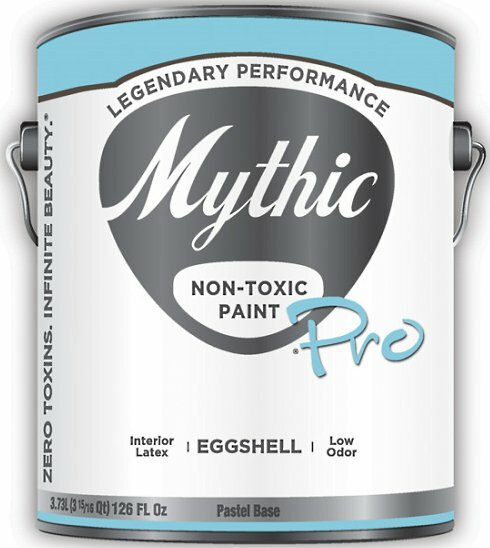 Mythic no VOC pro-series interior eggshell paint. Low VOC paints are almost the industry standard today, but many manufacturers are going a step further, creating no VOC paints that are even safer. No VOC is actually a misnomer, because it is virtually impossible to produce a commercial paint that contains none of these compounds. The government standard for no VOC is less than 5 grams of VOC per liter of paint. No VOC paints are economical, very safe, and relatively easy to find. As they dry, they release virtually no chemicals into the air as they dry. This is safer from a health standpoint. Children, the elderly, and people with pre-existing conditions can be very sensitive to off-gassing, even in small amounts. Symptoms include fatigue, headaches, sore throats, coughing or wheezing, and skin rashes. Obviously, if someone in your household is chemically sensitive, no VOC paints are the way to go. Because they don’t release significant amounts of chemicals into the air, no VOC formulations are also particularly environmentally friendly. Clean up and disposal is easy since they are water soluble. Using well-known national brands has its advantages. For one thing, they tend to perform better than no-name alternatives. They’re easier to find. And larger companies tend to have wider color selections. 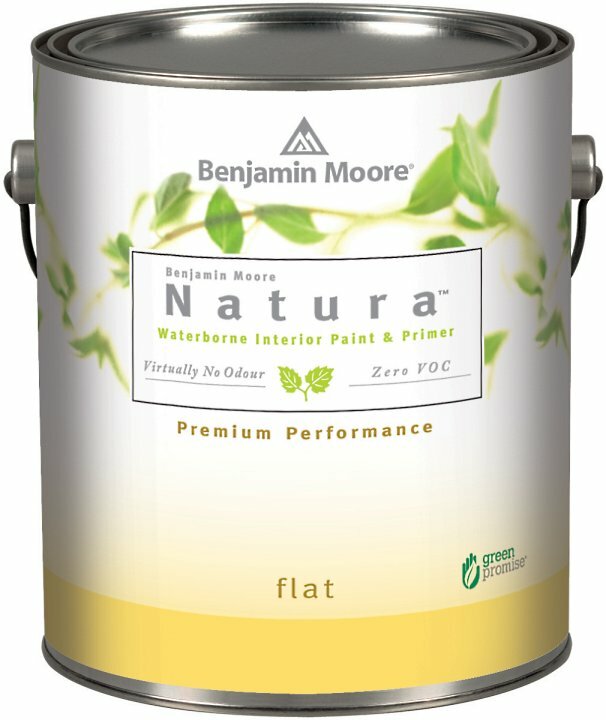 Benjamin Moore’s Aura line was introduced in 2006 and Greenguard Certified in 2007. It contains a 100% acrylic base and water-based pigments, which are environmentally friendly and create a smoother-flowing product. Both interior and exterior formulations are available. This company provides a complete collection of paints, stains, thinners and waxes. Their products are made from natural ingredients such as citrus and essential oils, tree resins, minerals, beeswax, and natural pigments. They are a U.S. based company. Freshaire Choice is sold only at Home Depot. They are the first company to develop VOC-free tints. 65 colors are available, and because the tints are premeasured and packaged dry, you can get a consistent result with multiple cans of paint. Custom tints are not available, however. Sustainability is important to this company- the can is made of 100% recycled materials and is recyclable when you’re done; labels are made of 75% post-consumer content and printed with soy inks; and paint sample chips are recyclable. Mythic Paint produces only no VOC, non toxic paints. They have an extensive color selection (1,232) colors, and will also create custom colors or copy competitors’ offerings. Interior designer David Bromstad has a line of paint through Mythic. Mythic is an American company. Sherwin Williams’ Harmony line has a variety of no-VOC offerings, including interior latex, porch and floor enamel, exterior reflective coating, and a special formulation for high moisture areas like bathrooms and basements. Harmony is Greenguard Certified for both Indoor Air Quality and Children and Schools. If someone in your household has severe allergies, an all-natural, completely chemical free formulation might be the best bet. Read our section on old-fashioned paints for manufacturers and some fun recipes to make yourself!